Scott Told Himself was the 3rd game we developed for the mindful xp project. Or at least the 3rd we started. 1 month later we released Scott Told Himself after we developed two more game projects and finishing it during our spring break. So what happened? 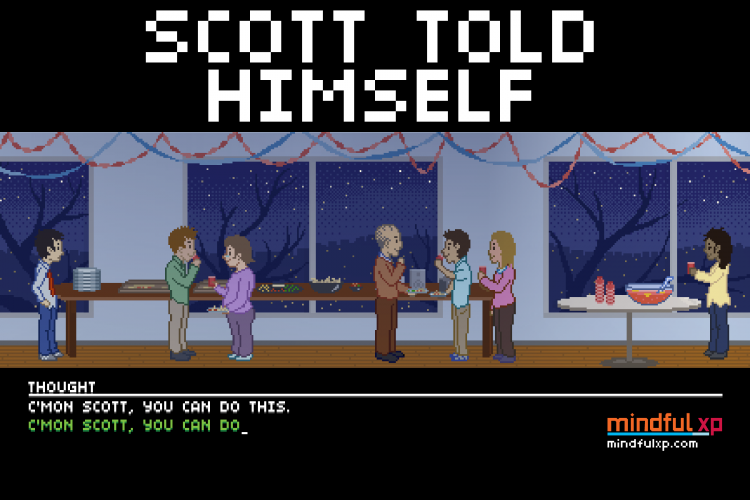 Why did we stop Scott Told Himself in the middle of development? A lot of went wrong with Scott Told Himself could be filed under typical mistakes made while learning how to work together as a team. Thankfully though we as a team learned to grow through these mistakes and learn how to effectively work as a team going forward. After a long hiatus on our 3rd game, we’ve finally put enough polish into it to release it! Play Scott Told Himself now! While our project is all about rapid prototyping and getting things out as fast as possible (and also dropping things when we need to move on) we liked Scott Told Himself enough to take a break from it, and try again at finishing it up during our Spring Break (haha, but don’t worry – we weren’t going to be relaxing during our break anyway…). We finished about a week ago, but have been putting final touches on it intermittently. We’ve also been juggling our individual games for the project – more on that soon! Last night we decided to put our 3rd game, Scott Told Himself, on developmental hiatus as we continue with different projects. This was not an easy decision. A major component of our project with mindful xp is creating game after game in rapid succession. We’ve been working on Scott Told Himself for 10 days now. Typically we had hope to spend about a week per project, but with Scott we pushed ahead after our deadline hoping that one last major push would finish things up. Yet even with these late nights the game is still incomplete, a bunch of systems lacking any connective tissue. With most projects it would make sense to release a prototype and move on. Especially with rapid prototyping not every game idea will work out and there are valuable lessons to be learned from every experience. With Scott Told Himself, there are a few lessons from its short development that we feel are important going forward. At mindful xp we don’t have the luxury of any significant downtime after each project. Prototyping a new game very week means our turnaround time needs to be pretty immediate. And so the night we finished wrapping up Connections we were already starting on our next project. So here is a screenshot of our 3rd game. With Valentine’s Day coming up it occurred to us that creating a relevant game for the season could be a lot of fun. 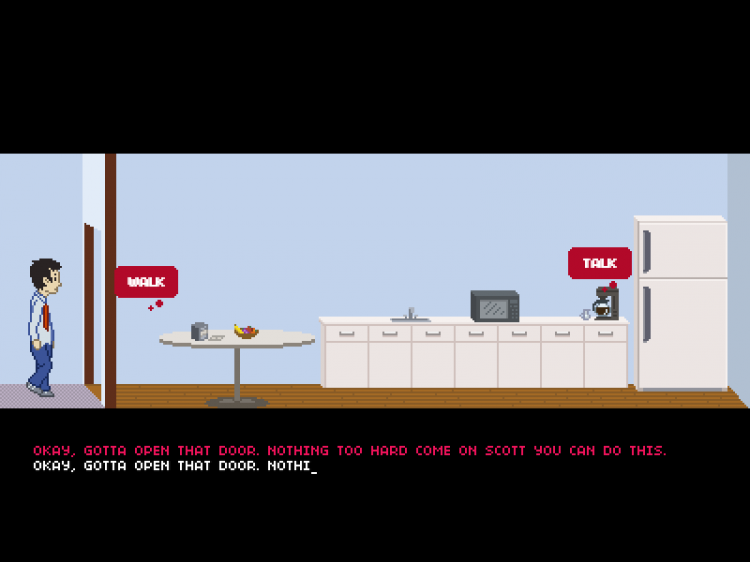 So we’re working on a game that’s about the small moments and awkwardness of being attracted to someone. It’s all still very early, but here’s a screenshot for your eyes only.